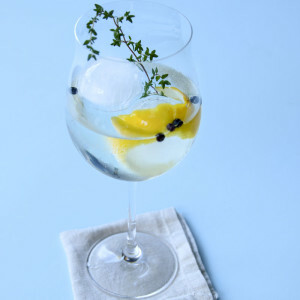 A Spanish-style fusion Gin and Tonic that pairs Scottish Hendrick's gin with French St. Germain Elderflower liqueur, lavender and orange bitters. 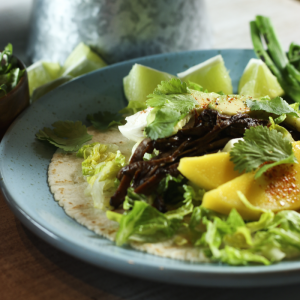 These delicious fusion tacos are slow-cooked in red wine, chili and lime juice. The meat is shredded and served with mango, avocado, burrata cheese and salsa. A fragrant, soothing winter soup that starts with homemade turkey stock. This is the perfect soup to make with a turkey carcass leftover from Thanksgiving. You may like it so much you will want to roast a turkey more often! 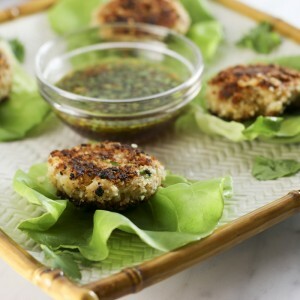 These crab cakes are an Asian fusion that combines traditional crab cake ingredients and Asian ingredients. 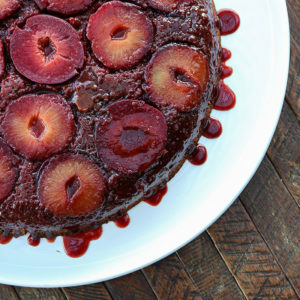 They are quick to make and always impress. 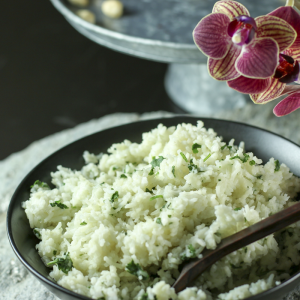 Cauliflower coconut rice is a great way to enjoy all of the tropical flavors of coconut rice without the carbs. 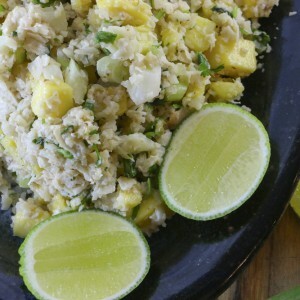 Loaded with ginger, garlic, cilantro, mango and pineapple, this "rice" is bursting with flavor. 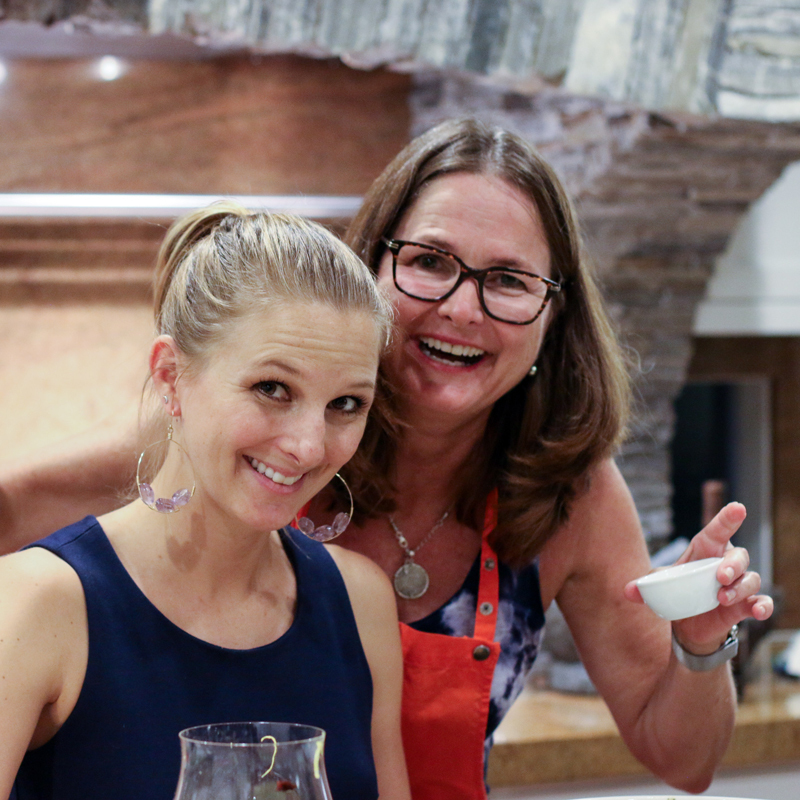 This vibrant gazpacho highlights two of summers most delicious fruits: peaches & tomatoes. 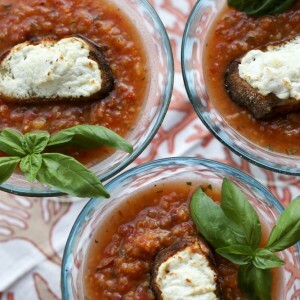 Make it in under a half hour and garnish with a goat cheese crouton. This salsa is quick, easy and so delicious. Mint brightens tomatillo salsa resulting an addictive salsa that you will put on everything. 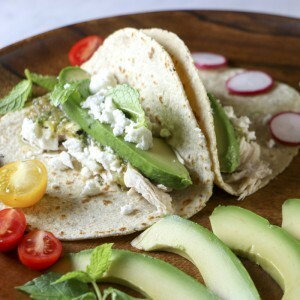 The minted tomatillo salsa elevates these quick and easy tacos to something special. Make the tomatillo salsa in advance and use leftover or store-roasted chicken. Perfect for an easy weeknight meal. This light, but full-flavored sangria is reminiscent of the vacation of your dreams. Yes, it is that good. The perfect drink for a summer evening whether you are in Honolulu, Noosa, Mal Pais or your backyard.